When is the best time to migrate your websites to a more private and flexible environment of a Virtual Private Server from Shared Hosting? This is probably one of the most discussed topics over the web, primarily due to the fact that the overall volume of shared hosting users globally is very high and with growth in business operations and progression of websites with time, it becomes imperative for users to look for options beyond shared hosting as they tend to outgrow it very soon. Make no mistake, shared hosting is the most sensible and economical choice when you are just starting out but if you are betting big on the growth of your website, soon it will reach a point where the allocated resources might seem low and the server environment would seem restrictive due to no root access and a lot of functions disabled for security reasons. As a shared hosting user, you would be sharing the server resources with hundreds of other users, which can have a direct impact on your site even if one of those users hogs majority of the resources. How can VPS Hosting be beneficial? VPS Hosting or Virtual Private Servers can be regarded as an intermediate solution between shared hosting and dedicated servers. If offers affordability in terms of costs, while offering features, functions and privileges similar to a Managed Dedicated Server India. Due to its virtual partitioning of physical server resources, each VPS shapes up as an isolated server with root access granted to each user for only their ‘portion’ of the server. Unlike shared hosting, a website hosted on VPS does not suffer from major performance issues as dedicated amount of resources are allocated to each server partition. VPS hosting allows unlimited domains hosting, private nameservers and with many web hosts offering fully managed solutions, the burden of managing the server on your own is no more there. User friendly control panels like cPanel/WHM and Plesk are always there to take care of your website management and administration, just the way you are accustomed to with shared hosting. VPS Hosting also acts as a step up for users who want to experience dedicated hosting but are wary of the costs and the technical know-how associated with it. Its a good stepping stone to get familiar with private server environment and fine tune server management skills without committing to prohibitive costs up front. Better Performance – If you are counting your website page visits in thousands and more per day, chances are it has already outgrown shared hosting or it will soon outgrow it making it unsuitable and unreliable. VPS being the perfect intermediate solution between shared hosting and dedicated servers, is an apt solution for such websites due to its comparatively low cost coupled with private server environment. No Resource Sharing – With shared hosting, you have to invariably end up sharing the server resources with large number of websites. If any of these websites hogs all the resources due to heavy traffic or load on them, the server may end up with severe resource crunch possibly affecting your website availability and business. A VPS ensures there is no such direct impact on your website as you’ll not be directly sharing the server resources with dozens of other websites. Total Control – Many hosting users have a preference for VPS hosting because they fancy controlling their own server environment rather than letting someone else take control (shared hosting). So even if your resource requirements do not justify the need for a VPS, but you prefer being in control of your website hosting environment, VPS hosting is definitely worth the added expense. Server Security – With VPS hosting, security isn’t a concern or a restriction as much as it is with shared server hosting. This is because server is completely customizable and security settings can be enabled/disabled or set to specific as per your needs. With an isolated server environment, you call the shots! Beyond Standard Features – By upgrading from shared hosting to VPS, you stand to gain numerous benefits in the form of full root access, server customization, more privacy, and the ability to handle larger amount of web traffic/load. With most hosting companies offering a choice of 2-4 different VPS packages, upgrade for more resources can undertaken at any time by only paying the difference. Freedom to choose – Choose from among the different Linux operating system templates available or install any third party software or application you need, you have the complete freedom to get the VPS up and running your way. With root access, you get the ability to use scripts that are generally restricted in the shared hosting environment. 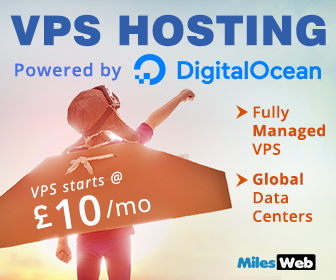 Ultimately, if you aim is to make money through your website, VPS hosting is probably the best upgrade for you as it will give you more control, freedom and flexibility for your website. 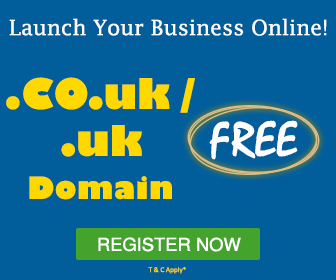 I will suggest to all when you fill your business is growing and you will need more resource,great flexibility in work . Than It’s right time to move on VPS.